Spring panfish opportunities are popular with anglers for good reason. Anglers can target crappie, bluegill and other panfish in often shallow water and the action can be tremendous particularly for kids and beginning anglers. Regardless of how much you have fished however, a hot panfish bite can bring out the kid in any angler. In some states, gamefish seasons are closed where panfish seasons remain open. 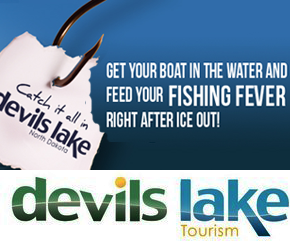 We often also see some pretty devoted bass and walleye anglers spend time targeting panfish each spring as well. Good action, good eating and good fun… anglers love panfish and some of the most watched and popular shows we have aired over the past ten years were indeed panfish shows that highlighted crappies or bluegills. 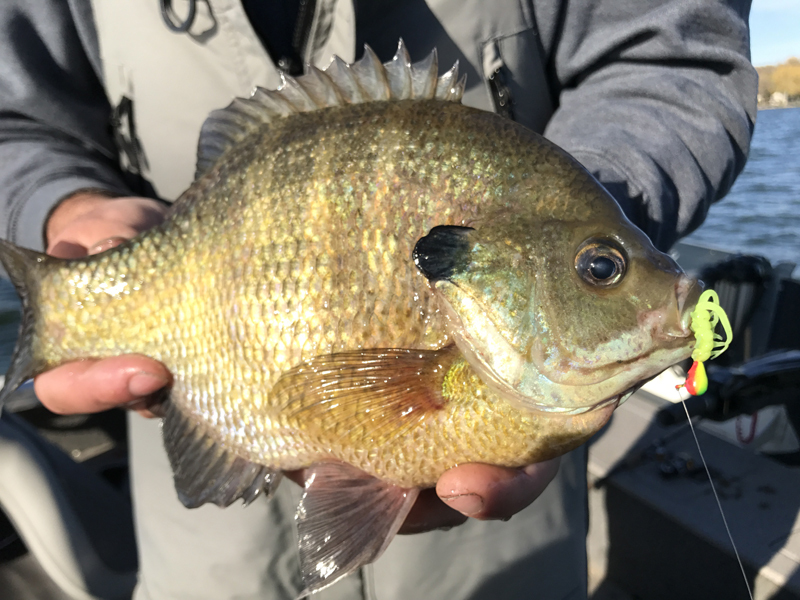 According to staff member Tony Mariotti, panfish locations can be somewhat predictable after ice out on many natural lakes like the water he fishes in western Minnesota. 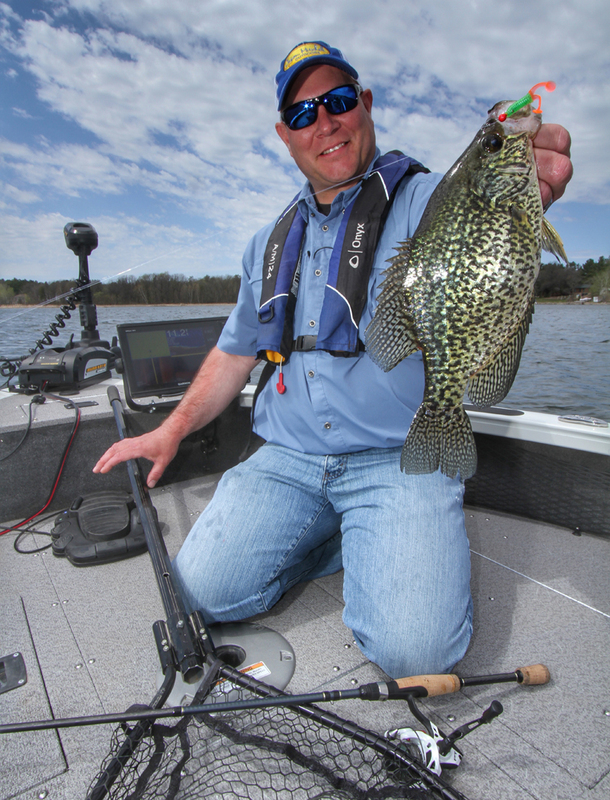 Tony Mariotti offers some tried and true advice for targeting spring panfish. “When the water warms up into the low fifty degree range and we have a warming trend, we will often find fish in less than five feet of water. The bays that are usually best are soft bottom, dark bottom bays,” adds Mariotti. Don’t be afraid to push back into these bays as far as possible during stable weather. Here are some additional quick tips from the mind of Mariotti. Protected bays within a bay are often protected from strong winds and are often better as the key seems to be the warming trend. If water temps dive, look for fish to pull out of the really shallow water and look for fish along the break on the mouth of the bay where we typically find fish right away at ice out. If you are catching small fish, try using a bigger presentation or a jig that drops quicker and fish a little closer or tighter to the bottom as we often find the crappie and bigger bluegill below smaller fish. Use polarized glasses to find the tallest and thickest weeds because usually they hold fish. The emergence of new lily pads often coincides with the right timing for fish to be way back up into shallow bays often in a few feet of water. Casting sometimes spooks fish so don’t be afraid to make long casts with a float and jig and slowly work the float back over the top of fish. Cast beyond the fish. Floats allow you to slow way down. The biggest mistake many anglers make is fishing too fast. Small soft plastics especially designed for crappie and panfish work excellent as they are durable for casting and you can catch several fish on one bait. An added benefit as that these baits add vibration, profile and color which can be experimented with, particularly in dirty water. A trolling motor will often stir up shallow water which can aid the fishing if the water is extremely clear and the fish are extremely spooky but often, we can do better by using a push pole to slide the boat up into the shallows. Anchor systems like a Talon or Power Pole are handy for pinning the boat in one spot. Sunshine is your friend. Warm sunny days often correlate with some of our best fishing and the afternoons are much better typically than the mornings. Don’t make the mistake of expecting too much before noon and leaving good areas too early because both crappie and bluegill often move into these shallow bays and become active later in the day. Bluegills often create beds in shallow water in the same locations each spring/summer but these shallow easy to find beds also get hammered by other anglers. Some bluegills will build beds in slightly deeper water and these fish often get left alone. Use your side imaging to find not only beds but also whether or not the beds are active. Active beds will be bright and clean on side imaging. This can be a scenario where flat bottom boats with a shallow draft or a push pole can enable you to catch more fish as some of these locations can be hard to get back into. You might have to cross a foot or less of water to get as far back into the bay as possible. 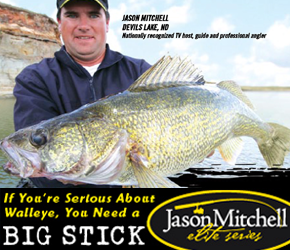 Some of the best open water tackle for catching big bluegill are simply your favorite ice fishing jigs. Pictured is the CPT Drop Jig that features a wider gap hook that many panfish anglers prefer. The presentations are pretty straightforward. Slow reeling a jig below a slip bobber allows anglers to creep the presentation along without falling down into emerging weeds or the muck. A general rule of thumb is to set the jig about half way down between the surface and the tops of the emerging weeds but don’t be afraid to experiment by fishing tighter to the weeds or higher in the water column. Sunshine will sometimes pull fish up really high right below the surface.